Rilakkuma Shop: Rilakkuma Shop Instagram! And Instagram is the place we post them. Search "buyrilakkuma" and you'll be able to find us! Follow us to see what new adventures Rilakkuma and friends are gonna have or to tag us when you guys travel with your Rilakkuma companions to share your photo creativity with us! We'd love to see every one of them! Meanwhile, our store is now stocked with all the classic plushies of various sizes, do come and pay a visit! 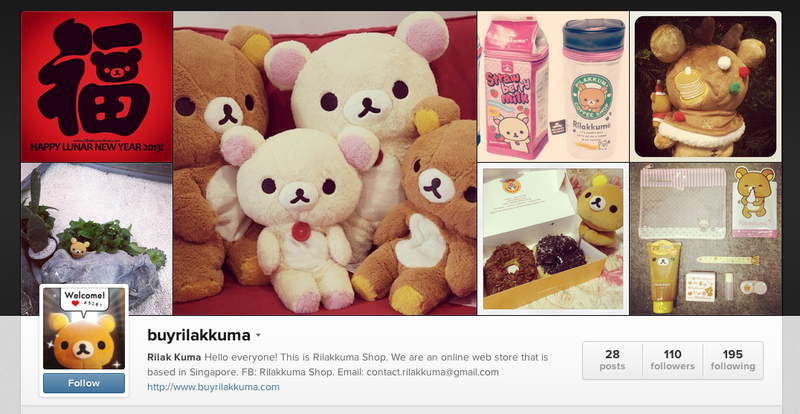 Disclaimer: On Instagram there is a "rilakkumashop" as well but that is not us, therefore we are not responsible for anything that they are posting or selling there.